With headquarters located in Mexico City, Medicine & Marketing International Strategic Support (MMATISS) is one of Latin America’s most experienced companies providing health care products development services. 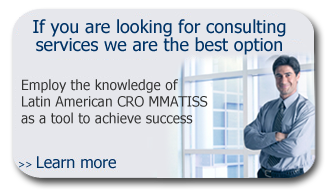 MMATISS was founded in 1996 and operates in the most important countries in Latin America. 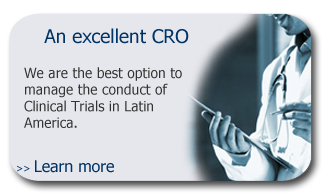 The wide list of countries where MMATISS has undertaken clinical trials includes among others, Mexico, Brazil, Argentina, Chile, Peru, Uruguay, Costa Rica, Panama, Guatemala, Ecuador, Venezuela, Colombia & Dominican Republic. 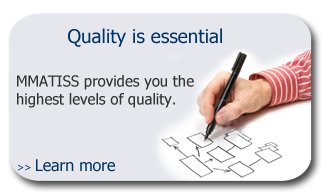 Our company prides itself to play a fundamental role in healthcare. As a promoter of the development of products and services for the detection, prevention and treatment of diseases, Latin American CRO MMATISS contributes to the improvement of people’s health and quality of life. Our clients include more than 72 pharmaceutical, biotechnological and medical device companies. For them, we had facilitated the set up and execution of over 350 multicenter and international Clinical Research projects, in several therapeutic areas, including cardiology, neurology, metabolic disorders, oncology and infectious and respiratory diseases.